We want to acknowledge you – our partners, members and friends – for joining with us these past 20 years to achieve our many successes in promoting and preserving our auto heritage. Maybe you helped bring a community together to repurpose an old building, developed a new tour, or designed an exhibit. Perhaps you compiled UAW oral histories or inventoried the auto assets in your stewardship community. Maybe you volunteered at one of our many auto heritage events, worked to create a digital history of a bygone factory, or told the story of one of the many cultural groups that migrated to Michigan to work in the auto factories. We want to thank you for all you’ve done to promote and preserve our great automotive heritage. Share with us what being part of the heritage area meant to you by filling out the form below. We look forward to hearing from you! During my career I worked on planning and design projects that resulted in designation of many National Heritage Areas, as well as numerous assignments directly for the National Park Service. I brought this range of experiences to my role as leader of the consulting team that prepared the Management Plan. MotorCities was a unique and challenging experience for me for several reasons. 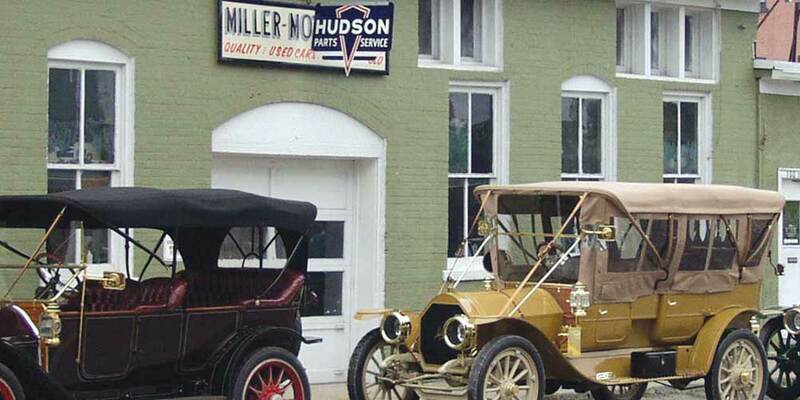 The pervasive influence of the auto industry for over a century on the physical environment and people of such a broad area was undeniably unique. The fact that the industry, though changed, remained vital and active was quite different than other heritage areas where the seminal resources had often declined in functional importance. And the passion of participants for automotive history (and cars) was also a big influence on the vitality of the form and structure of the heritage area. Seems like nearly every garage in the region had a vintage vehicle and every family was connected to the auto industry. Another real pleasure was working with such a highly knowledgeable client group to achieve consensus on the shape and programmatic features of the plan. Among the client group, I retain especially strong memories of Constance Bodurow, the passionate and unbelievably hard-working first Executive Director who saw the potential and brought along others, Bill Chapin, whose great sense of humor helped him and others to think out of the box, Ed Bagale, with his strong Dearborn educational and industry connections, and Sandra Clark, who brought a state-level historian’s point of view to the effort. I was continually astonished at the level of community interest and participation in the planning process; large crowds of well informed and engaged participants showed up in meetings across the region to weigh in with program and project ideas and priorities. At the time, I saw the largest challenge of the Management Plan to be the spread of resources and stories across an extremely large geographic area; meaning that it would be hard to maintain a clear focus for the heritage project and its sense of priorities within an area with so many governments, resources, and other day-to-day priorities. We hoped that by making clear programmatic and location priorities for education, revitalization, and the visitor experience that we might help participants and future heritage area managers to retain clarity of purpose for use of scarce resources. Speaking of project memories – it would be hard to top September 11, 2001, when my colleague Beth Foster and I flew out of Boston’s Logan airport leaving at nearly the same time as the highjackers. When we landed in Detroit, our captain announced that the flight was unlikely to continue because of a “security emergency.” Walking into the terminal, we saw on TV monitors the collapse of the first World Trade Center Tower and I wondered where my photographer son might be during this catastrophe. The next day I got the answer; his photos were lead items in the New York Times. Needless to say, all the community meetings that were scheduled for that trip were cancelled; Beth and I rented a car and had to drive back to Boston to return later and pick up the beat. Looking back on the experience, it is rewarding to see that the overall Management Plan retains much of its validity and that the branding of Motorcities that was developed by Cliff Selbert and his team is still working. Given the relatively modest level of funding available for the heritage area – spread across such a large and diverse region – and uncertainties about the level of NPS support, it is probably fair to say that the most profound impact for the Partnership might be its advocacy for the preservation and interpretation of automobile resources and its influence on other public and private funding entities that have far more fiscal resources at their disposal. It is the leverage of ideas that can probably have the greatest overall influence.